An impressive line-up of technology companies from 34 countries will showcase their innovations at CeBIT Australia, Asia Pacific’s largest business technology event, in Sydney next week. Seven International Pavilions will feature over 60 companies from Germany, Philippines, Sri Lanka, Indonesia, Taiwan, Pakistan and Jiangsu Province, China. Hannover Fairs Australia Managing Director Harvey Stockbridge said as CeBIT Australia marks its 16th year, the international presence continues to grow due to NSW’s reputation as the regional hub for business technology and innovation. “CeBIT Australia is a truly international event, connecting exhibitors from 34 countries, including seven International Pavilions, to enterprise, government and SME technology leaders from across the Asia Pacific, while also creating a platform to showcase the best of Australian innovation to an international audience,” Mr Stockbridge said. 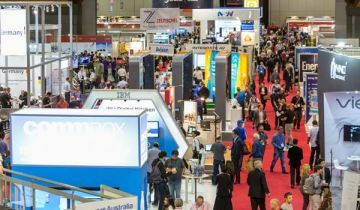 International companies are increasingly drawn to CeBIT Australia to showcase their cutting-edge technology innovations in Australia. Exhibiting for the first time this year, Sri Lanka’s International Pavilion will showcase eight companies including Onsbay, the world's first service brokering platform where consumers and service providers meet. The latest technology from Germany, one of the world’s premier technology regions, will feature Kontron, a global leader in embedded computing and new innovations from Goodsons Imports, the leading distributor of retail point of sale (POS) systems. The IT & Business Process Association of the Philippines (IBPAP) will showcase Acquire, winner of the CeBIT 2016 Australia Business Technology Award for Service Distinction, while the Taiwan Excellence Pavilion will feature 42 innovative products from 15 notable Taiwan Excellence Award-winning companies, recognised for delivering products that achieve both innovation and value for businesses. 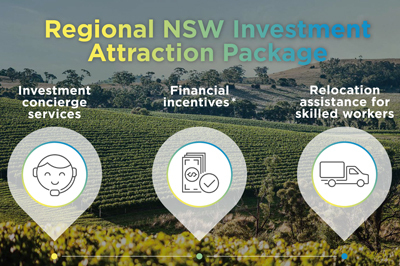 The NSW Government is the Official Partner for CeBIT Australia and, together with Jobs for NSW, will be using the event to promote NSW as Australia's leading technology and startup business and investment location. For further information visit the CeBIT Australia website. Afghanistan, Bangladesh, Brazil, Canada, China, Fiji, France, Germany, Hong Kong, Hungary, India, Indonesia, Iran, Iraq, Ireland, Japan, Kenya, Republic of Korea, Martinique, Mexico, Mongolia, Nepal, New Zealand, Pakistan, Philippines, Saudi Arabia, Singapore, Sri Lanka, Taiwan, Tonga, United Arab Emirates, United Kingdom, United States, Vietnam.